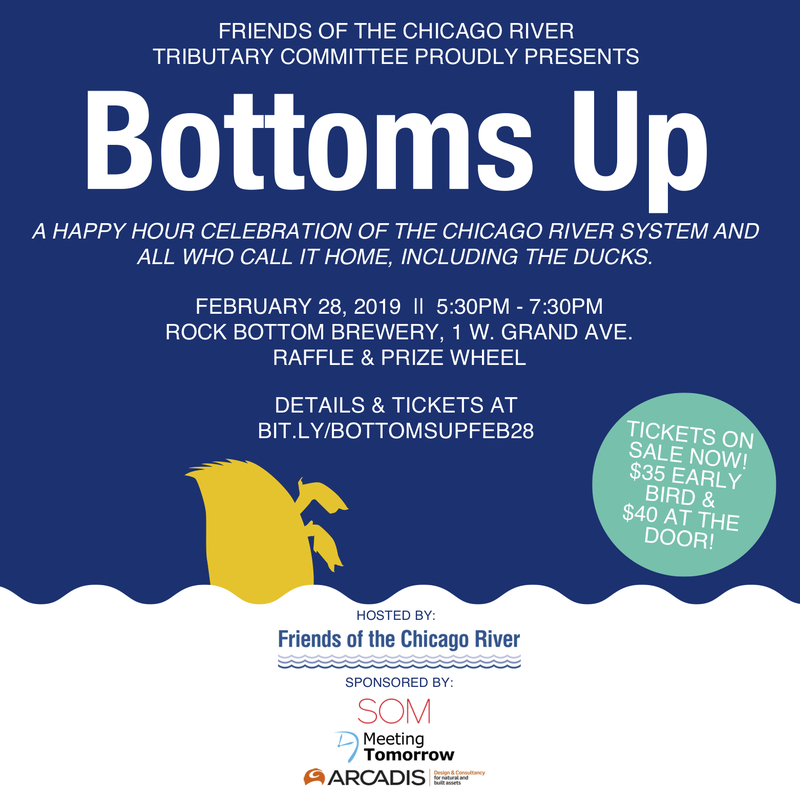 Come join your neighbors to make the Chicago River system cleaner and healthier for people, plants, and animals by coming to a special happy hour fundraiser hosted by Friends of the Chicago River’s Tributary Committee at Rock Bottom Brewery on Thursday, 2/28/2019. It’s a great night of brews and appetizers along with some cool games to play to win amazing raffle and silent auction prizes. Net proceeds will benefit the programs and projects of Friends of the Chicago River. Your $35 for an early bird ticket will gain you entry. Must be Age 21+ Ticket includes appetizers and one drink (beer/wine). Additional drinks available for purchase. Details: Thursday, February 28, 2019 from 5:30 p.m. to 7:30 p.m. at Rock Bottom Brewery, 1 W. Grand Avenue, Chicago. For more information or to donate a raffle or silent auction prize, contact friends here. Tickets: Purchase here. Buy your early bird ticket by February 18; tickets increase to $40 starting February 19 and at the door.